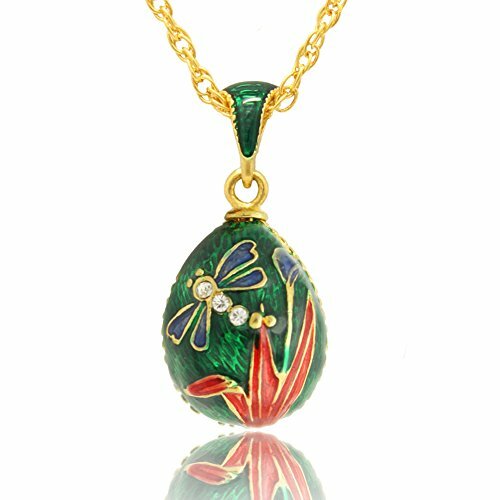 HIGH QUALITY Hand Made, Gold Plated & Enameled; GIFTS SUGGESTIONS A - any holiday, especially at Easter. 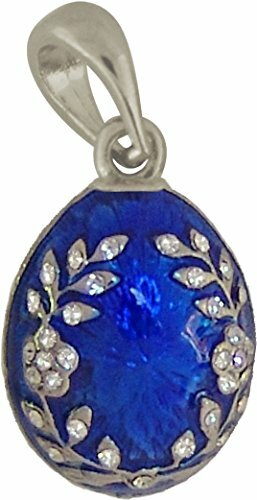 Good gift for wife, mother, the grandma, the grand daughter, lover, friends, relatives etc. 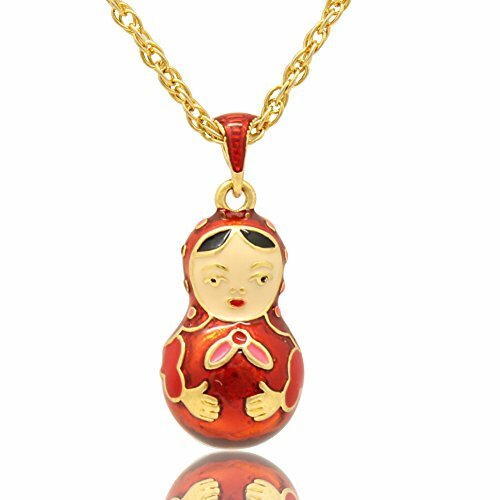 Many grand mothers start necklaces for their grand daughters. 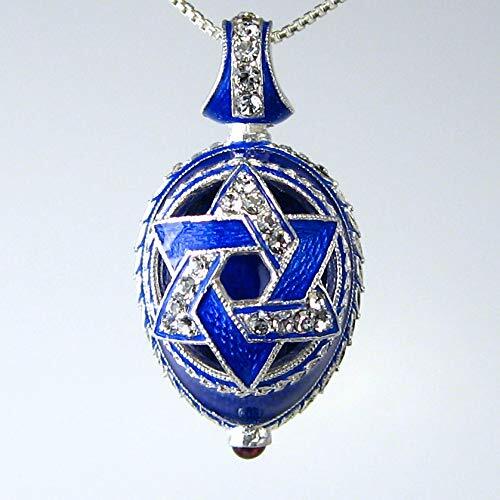 It is an ancient tradition in Russia to give decorated eggs, which symbolize renewal and rebirth. 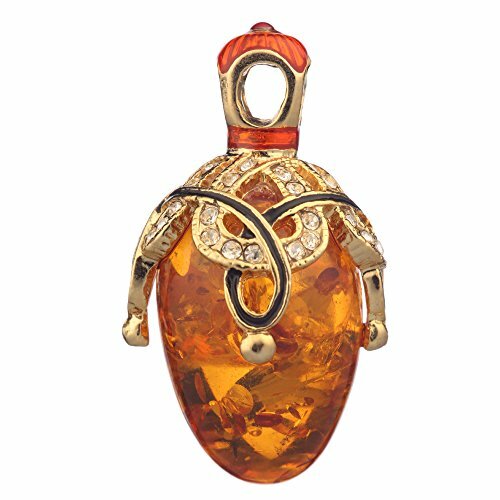 History of Faberge egg pendant: Carl Faberge was the first jeweler who designed collection of egg-pendants/charms more than 100 years ago. 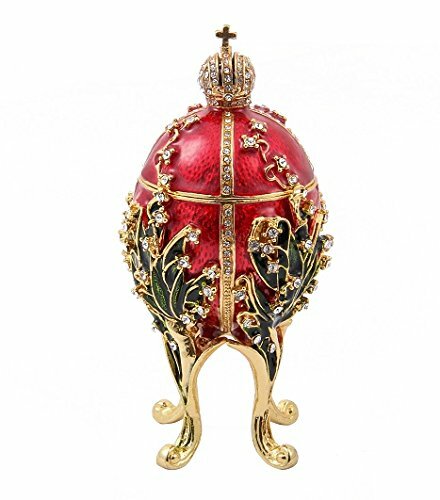 (Peter Carl Faberge (1846-1920) was a Russian jeweler, best known for the fabulous Faberge eggs, made in the style of genuine Easter eggs. He became the Tsar's Court Goldsmith in 1885. 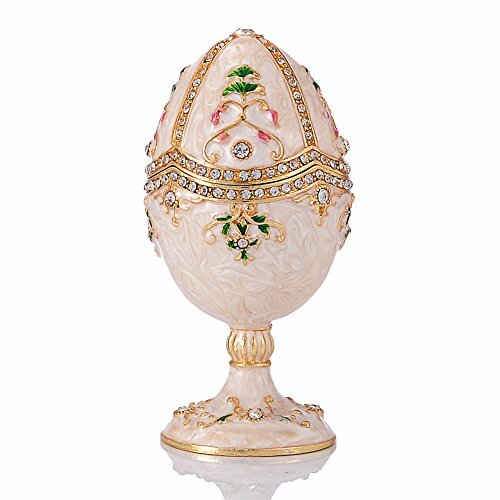 The Imperial Easter eggs were a sideline; Faberge made many more objects ranging from silver tableware to fine jewelry). 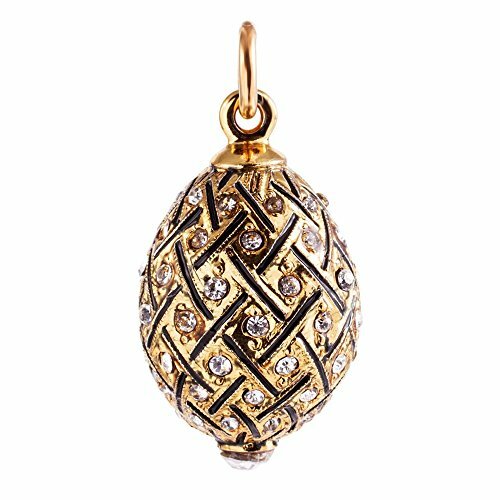 Jeweled egg pendants, popularized by the House of Faberge. 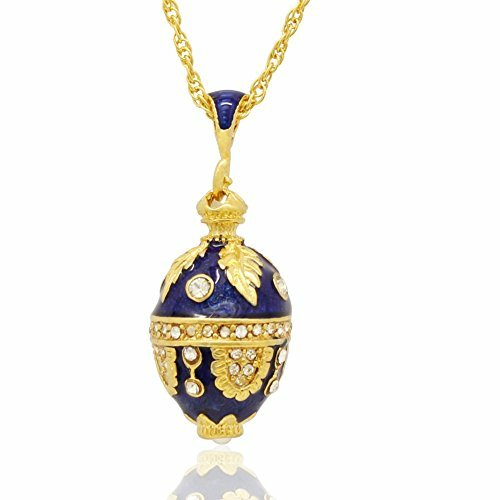 This egg pendant is HIGH QUALITY Hand Made, Gold Plated & smoothly Enameled; GIFTS SUGGESTIONS A - any holiday, especially at Easter. 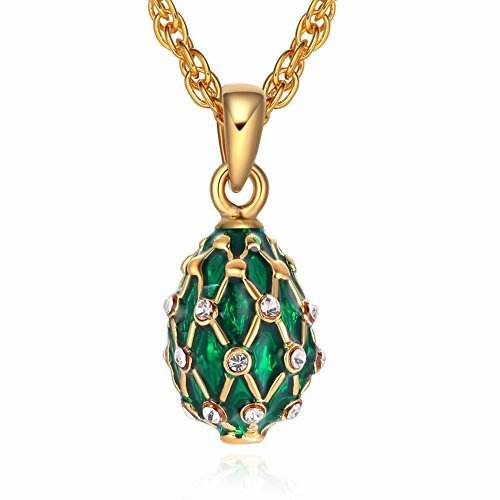 Good gift for wife, mother, the grandma, the grand daughter, lover, friends, relatives etc. 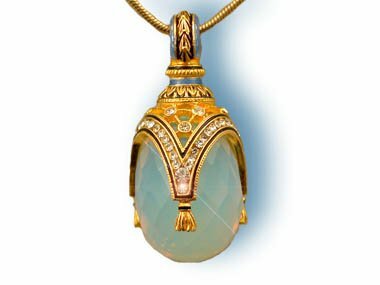 Many grand mothers start necklaces for their grand daughters. 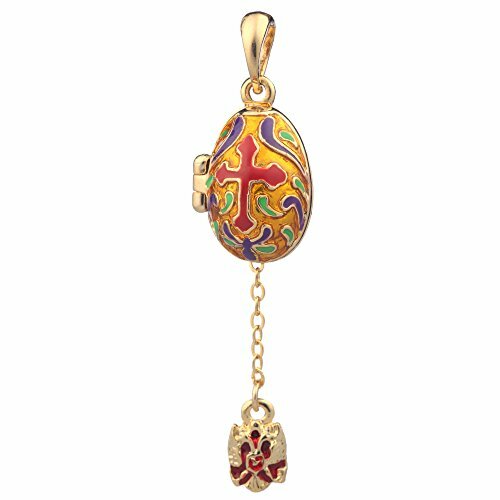 It is an ancient tradition in Russia to give decorated eggs, which symbolize renewal and rebirth. 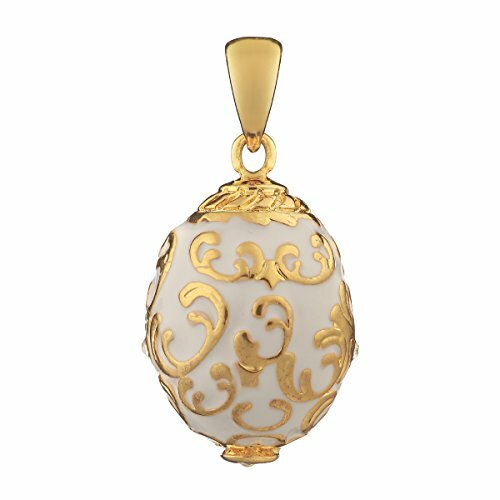 History of Faberge egg pendant: Carl Faberge was the first jeweler who designed collection of egg-pendants/charms more than 100 years ago. 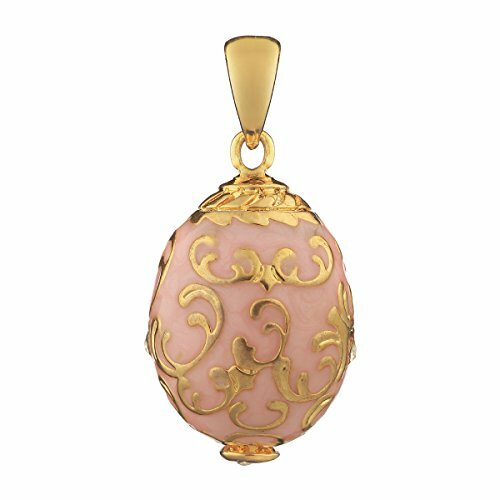 (Peter Carl Faberge (1846-1920) was a Russian jeweler, best known for the fabulous Faberge eggs, made in the style of genuine Easter eggs. He became the Tsar's Court Goldsmith in 1885. 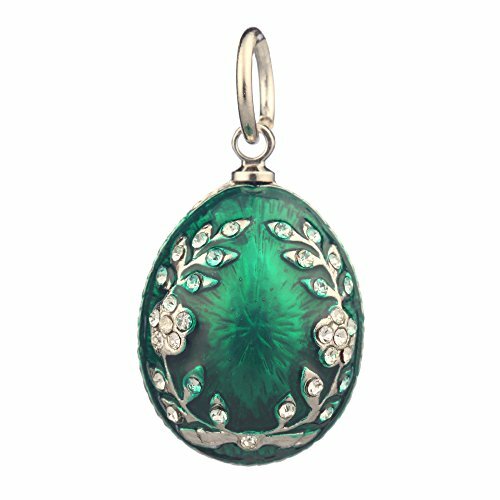 The Imperial Easter eggs were a sideline; Faberge made many more objects ranging from silver tableware to fine jewelry). 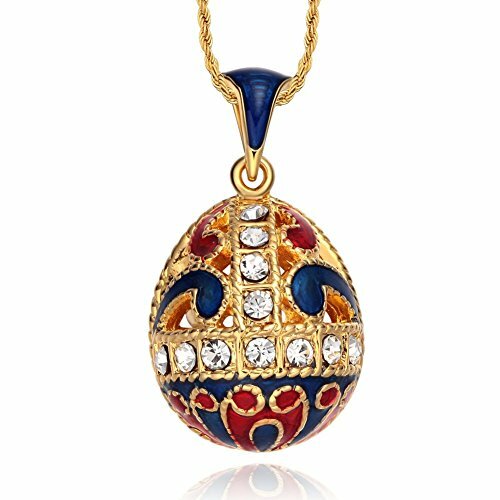 Jeweled egg pendants, popularized by the House of Faberge. 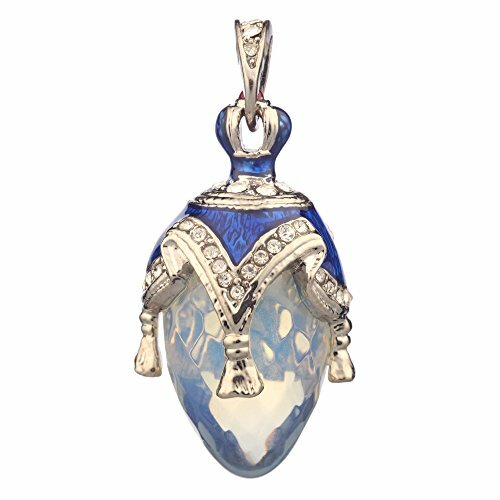 MAKE YOUR ELATION WITH OUR LOVELY FABERGE STYLE PENDANT WITH RIBBONS AND TASSELS, WHICH IS MADE OF MOONSTONE QUARTZ AND STERLING SILVER WITH 22K GOLD OVERLAY AND DECORATED WITH BLUE GUILLOCHE ENAMEL AND AUSTRIAN CRYSTALS. 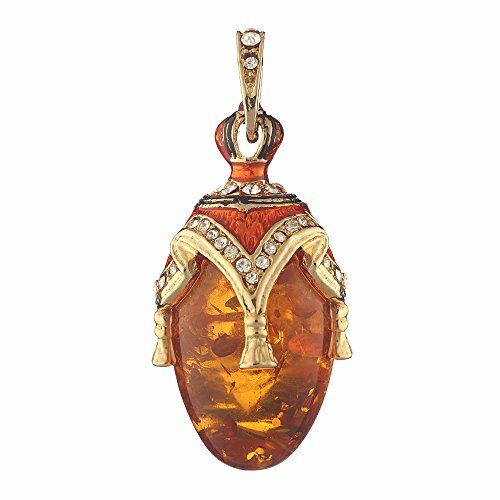 IT WAS CRAFTED BY RUSSIAN JEWELERS THROUGH ELABORATE AND LABORIOUS EFFORTS. 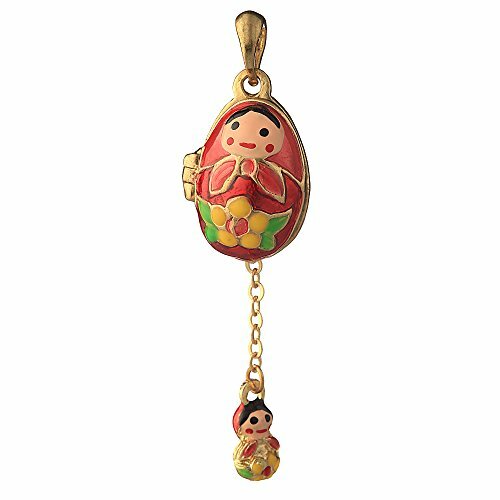 The pendant opens, so you can put there the small figurine of the matryoshka. 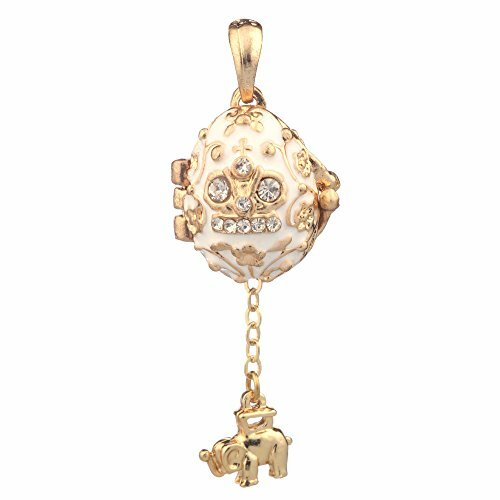 The pendant opens, so you can put there the small figurine of the elephant.